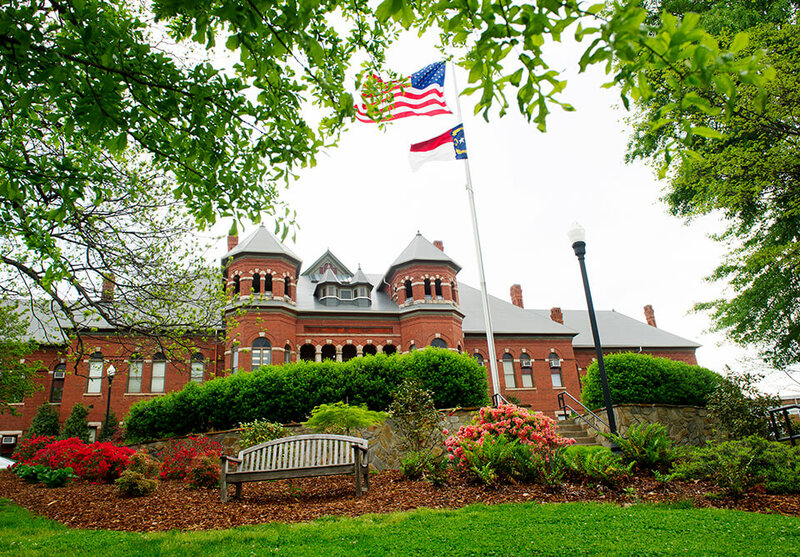 Yes, the program offers scholarships to UNC Greensboro students in the sciences with financial need. But there’s more – the nationally-recognized program provides faculty and peer mentorship, first-year seminars, undergraduate research opportunities, field trips, guest speakers, and an engaged, interdisciplinary community of current and future leaders in STEM. The program, supported by the National Science Foundation (NSF) and University funds, has proven to be well worth the investment since its launch in 2010. The first cohort had, approximately, a 90% four-year graduation rate in the sciences. The remaining 10% of students in the program also graduated in four years, just in other disciplines. Patton explains that if you look at retention and graduation rates for STEM disciplines, they are, somewhat surprisingly, lower than overall University rates. As part of the freshman seminar in the fall, STAMPS Scholars have the opportunity to visit labs on campus and learn more about what faculty are doing. 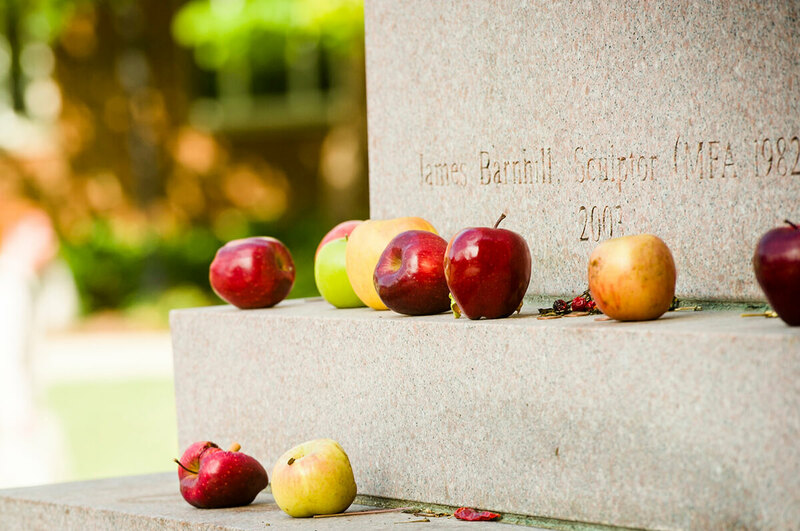 This fall, the students visited Dr. Dan Royall’s Regolith Analysis Lab and Dr. Olav Rueppell’s Social Insect Lab. Another highlight of this semester? 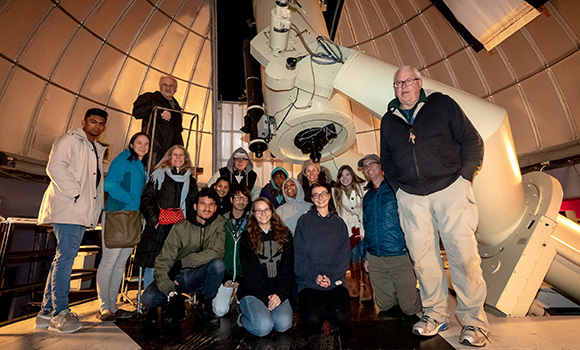 A visit to the Three College Observatory in Graham, where students had the opportunity to explore the night sky with what is the largest telescope in the state. In the spring, the group will travel to Washington, D.C., and visit Smithsonian’s National Zoo and Conservation Biology Institute. The visit includes a special behind-the-scenes tour of the Center for Conservation and Evolutionary Genetics. It’s these kinds of experiences that can shape a student’s academic journey and career path. Exposure to different areas of science is what the program is all about. But perhaps more than anything, students are appreciative of the close-knit community that the program fosters and encourages. Dynah Sutton is a biology major with a pre-dental focus. When she first started at UNCG two years ago, she didn’t know anyone on campus. Now, she has the support she needs and a growing social circle of peers with similar interests. She gives back to the STAMPS Program by serving as a mentor to a first-year scholar. 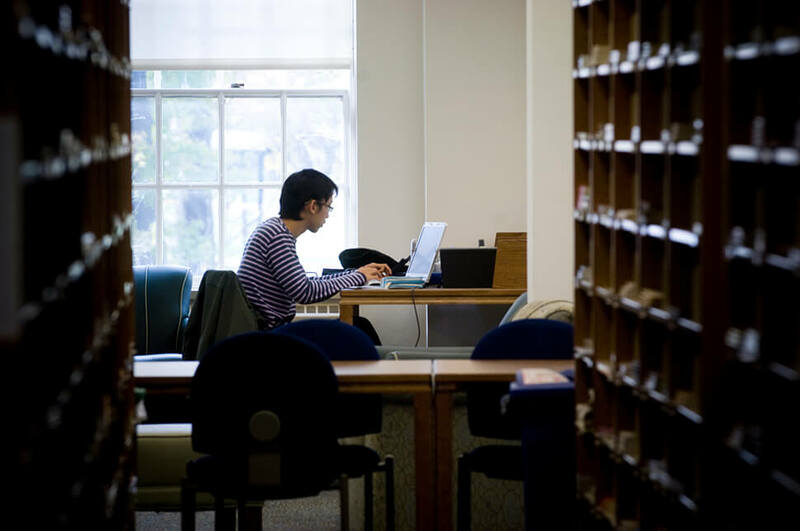 The program also includes a research component for faculty. Patton and Sametz, along with colleagues Dr. Ayesha Boyce, Dr. Lee Phillips, and Dr. Stan Faeth, are evaluating the program’s impact on student outcomes. “We’re collecting a lot of data and adapting the program based on what’s working and what’s not working,” Patton said. These findings are not only used to improve the STAMPS Program – they’re shared with the NSF to help shape similar programs across the country. To learn more about the STAMPS Program at UNCG, visit aas.uncg.edu/stamps.